The Norwegian regional prizes are offered by the Norwegian Space Centre and Oslo Science Park. The regional Galileo Masters winner will be offered the combined prizes of the Norwegian Space Centre and Oslo Science Park. A stay at a freely chosen incubation centre, limited upwards to a cost of NOK 100,000 (approx. EUR 10,500). The winner is responsible for applying to and being accepted by the incubator. Two representatives from the prize winner will in addition be offered free travel and accommodation to the Galileo Masters Awards Ceremony 2018 taking place in Marseille on 4 December 2018. Furthermore, the winner gets the chance to access tailored E-GNSS Accelerator business support worth EUR 62,000 (if eligible). An extra EUR 10,000 cash prize will be allocated to the Galileo Masters 2018 Overall Winner. 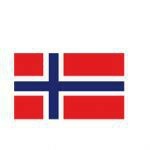 Norway is one of the world’s largest oil exporters and a global leader in a wide range of sectors, such as aquaculture, maritime industries, hydropower and other forms of energy, the environment, technology, and telecommunications. It is also Europe’s most diversified maritime nation and commands worldwide respect for its shipping expertise, equipment, and ability to exploit new market niches – including satellite communication and navigation. While Norway’s use of space is born out of the challenges posed by its natural surroundings, the country also has a veritable sea of opportunities at its disposal. The Norwegian Space Centre (NSC) is a government agency under the Ministry of Trade, Industry and Fisheries. Its mission is to ensure that Norway benefits as much as possible from its space activities. NSC’s areas of focus include activities in which Norway can compete in the global market for space-related goods and services, and which to a great degree are based on national qualifications and needs. In addition to promoting the development, coordination, and evaluation of the country’s space activities, NSC supports Norwegian interests through the European Space Agency (ESA). Norway’s participation in the EGNOS and Galileo programmes is also actively managed by NSC. Oslo Science Park wants to contribute to the creation of more companies and more value for society through Oslo’s research and technology communities. Founded in 1986 by Oslotech, Oslo Science Park is nowadays located only 10 minutes from Oslo’s city centre between the campuses of the University of Oslo and Oslo University Hospital. Today, more than 250 companies and research organisations rent offices and labs there. Oslotech is also the organisation behind StartupLab, Norway’s largest tech-incubator; Aleap – an incubator for health startups and ShareLab – a biotech incubator. Meanwhile, the company has helped to initiate and support various cluster development networks and projects, such as Norway Health Tech, The Life Science Cluster and Oslo Edtech Cluster. Oslotech has also established the seed fund Springfondet in cooperation with Kistefos, a well-known Norwegian investment company in addition to establishing and investing in Founders Fund which specialises in investments in early stage tech-companies. Every year, many different events are being organised and hosted at the large in-house conference centre in an effort to bring together students, researchers, entrepreneurs, people from industry, and investors.